Need efficient group transportation in Arvada? Whether you’re staying in town or heading into Denver, Denver Charter Bus Company has everything you need to transport your group to any event in Arvada, Colorado. No matter what you have on your Arvada itinerary, Denver Charter Bus Company has all of your travel needs covered. From a charming visit to Historic Olde Town Arvada to a day spent at New Image Brewing Company to a day trip into Denver, we’re always prepared to transport your group with absolute ease. Put together an itinerary filled with your group’s favorite activities and leave the travel logistics to us on your next trip in Arvada! When you book with Denver Charter Bus Company, you’re able to choose from a variety of bus sizes outfitted with a number of amenities designed to make your trip easy and comfortable. Choose a 56-passenger charter bus for your large group or a compact minibus for a smaller group of travelers. On your bus, choose from features such as free WiFi, televisions with DVD players, air conditioning, spacious luggage bays, and more. We can even ensure that your full-sized bus comes with an on-board restroom to help eliminate pit stops on long journeys. No matter your needs or requests, we can always find the perfect bus for you. Planning a large gathering in Arvada? Denver Charter Bus Company services a wide variety of events, from intimate weddings to multi-day corporate conventions. We’ll help you bring guests into town, pick up groups from Denver International Airport, and shuttle attendees between venues with absolute ease, allowing you to focus on your big event. Wedding guests can enjoy a designated driver between your ceremony, reception venue, and hotel to ensure safe travels to everyone no matter how crazy the party gets. Corporate travelers can also enjoy a private shuttle service to help your event run on time from beginning to end. Events of all sizes in Arvada are made easier with the help of a private charter bus rental. Plan a school field trip to Arvada’s Cussler Museum or the Arvada Center for the Arts & Humanities with the help of Denver Charter Bus Company! Load your students onto a modern charter bus for a comfortable and safe ride to every stop on your educational itinerary. We’ll pair you with a professional driver who’s as dedicated to the safety of your students as you are. All you have to do is sit back, relax, and enjoy your Arvada field trip! Denver Charter Bus Company provides reliable travel services in Arvada and Denver, as well as other surrounding suburbs such as Aurora, Englewood, Boulder, and Lakewood. No matter what brings you to the Denver metropolitan area, count on us to make your trip easy and efficient! Ready to get going on your field trip plans? 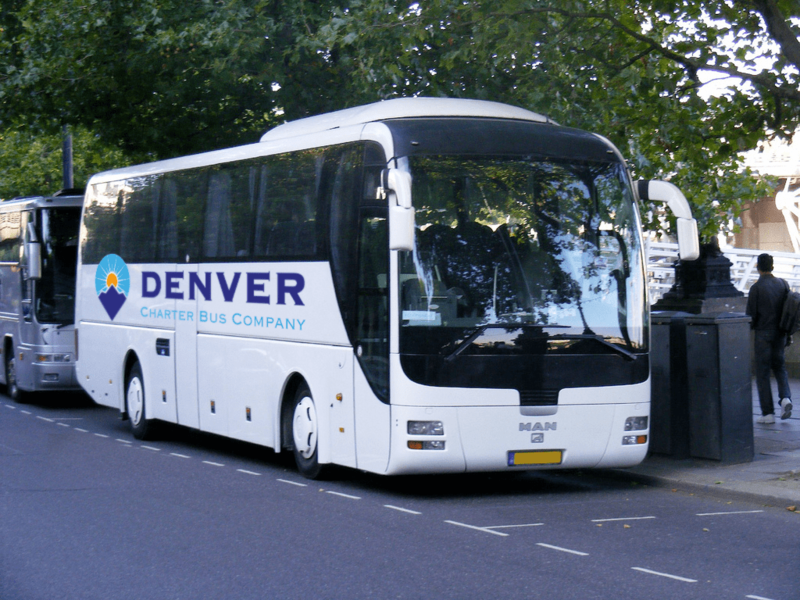 Call Denver Charter Bus Company at 303-495-2341 to learn more about our services and pricing. Our reservation specialists are available 24 hours a day— call now to get your free, no-obligation quote!